Please tell us about the history of your business and what it entails. “Before I ever got into raw feeding, my best friend and I were always searching for local, small farms that support the land and practice ethical animal welfare procedures. When we found out about White Oak Pastures and all the different practices they followed, we knew we found a farm we could support. Eating meat is a choice that many take for granted, without ever really considering all the logistics behind getting that steak onto your plate. For us, it was very important to find a farm that not only respected the animals it was processing, but also took care of its land. We have ONLY ordered and cooked White Oak Pastures’ meats in our home since then. What do you think your customers appreciate most about White Oak Pastures? The quality of the meat, the variety available, and the practices and ethics the farm stands behind. What is your favorite White Oak Pastures product? All the odds and ends that most people never see! The guinea are very cool and delicious!! What would you like to share about your business that you feel the public would be interested in knowing? 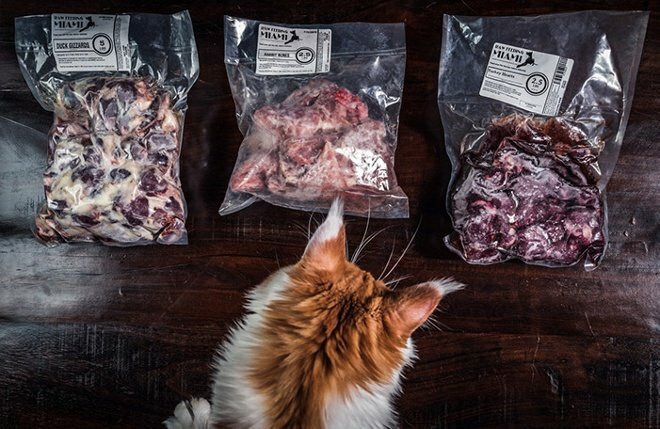 “We sell between 15 to 17 different species at a time: Chicken, Turkey, Goose, Duck, Quail, Guinea, Beef, Pork, Fish, Rabbit, Goat, Lamb, Emu, Ostrich, Venison, and Elk. I think the best seller is turkey hearts, oddly enough. My personal favorite is organic green tripe since my dogs love it. You should give some to your pups!! What are you most proud of in regards to your business? What goals or visions do you have for your business in the future?